neutronflux I cropped the picture to upload it. You find this NIST official image more here. NIST claims this about the shear studs. Quote "The source documents used for developing the structural analysis models of WTC 7 were the structural drawings prepared by the structural engineer of record (Irwin G. Cantor, Structural Engineers) and the erection drawings prepared by the steel fabricator and erector (Frankel Steel Limited). Neither the structural drawing for typical floors 8 through 20 (Structural Drawing S-8) nor the erection drawings for floors 10 through 13 (Erection Drawings E10/11 and E12/13) show any studs on the girders. A structural drawing showing modifications to Floor 10 (Structural Drawing S-8-10) to accommodate increased floor loads in certain areas did indicate shear studs for the girders in the affected areas, though the additional load was not identified on the drawing"
This is not true the truth movement received the Frankel construction drawings by FOIA request in 2012-13. The drawings clearly show there were 30 shear studs along on this girder at column 79.. It truly unbelievable Skeptics believe NIST claim at column 79 there were no shear studs connections. Exactly how would the concrete floor and the steel beam and girder maintain integrity and strength if there were no shear studs? Why would a Carpenter bother using nails to secure a roof if these connections are of no importance? Steel framed building doesn't collapse. Never had till 9/11. Sceptics falsely claim some buildings are steel framed they are not they are composites buildings. waypastvne	agree with this position? Point 5. Sagging and some deformation is natural in a high temp fire. But the Carrington Fire test showed a steel rise building does not collapse from fire. They got the fire up to 1200c using a gas burner and did not collapse. Even at that temp, the steel beam was not melting through. WTC7 steel has a hole cut out sections. What temp would you need to cause that? FEMA claims 1000c heat+ sulphur. You added the text stiffener to a grainy picture that is hard to see what is really there. Mr. “I don’t see the 55” inward bowing ” of the tower. 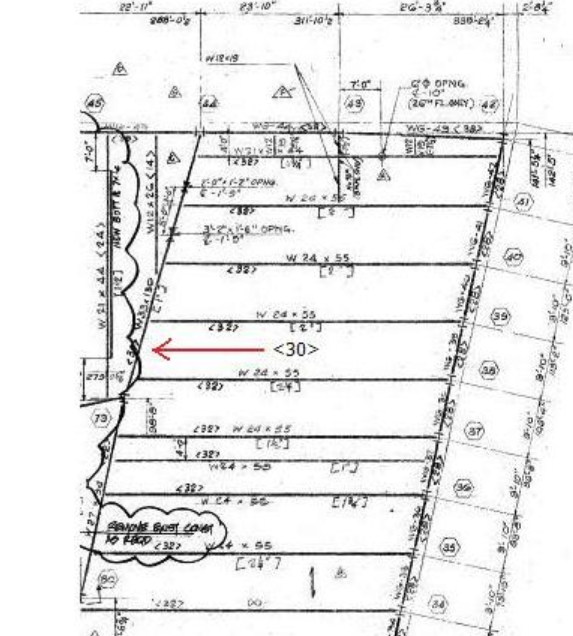 The picture you added is a marked up in process layout drawing. Can you post the actual set of finalized drawings that depict the actual column connections details? There is still honest debate on what hardware was included on column 79. One, the WTC from damage from an earlier fire had to replace buckled columns. Two. 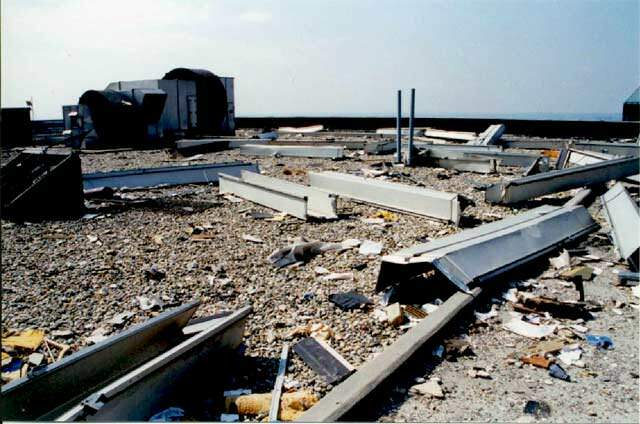 The Madrid Windsor tower had its steel frame collapse above the 17th floor from fire. Three. The Plasco building collapse in Tehran was a complete collapse of a steel frame high rise due to fire. Four. The São Paulo building collapse of 26 floors was another fire induced collapse. Five. There is a history of bridge and steel framed warehouses collapsing relating to fire. But the Carrington Fire test showed a steel rise building does not collapse from fire. Is a right out falsehood. Why do you think fire insulation is required by code. And WTC 1, 2 and 7 had significant building damage. With WTC 1 and 2 having significant portions of their load barring columns removed. What do you not understand the structures where compromised even before floor to floor fires. No. You posted a picture of corrosion from sitting in the smoldering rubble pile with no proof the metal was heated to the temperatures thermite burns at. With no proof of cutting. With no proof it is an exterior column. Or any proof it was a load bearing column. So, you have no actual photos or video of WTC 7 columns being cut during collapse. Or any physical evidence of WTC 7 columns cut floor by floor to remove resistance. With no proof such a CD system would survive fires and the damage sustained from WTC 1 and 2 collapsing. Dr Hulsey has updated people on his research. He revealed that a number of papers will be released in one to two months. They will be sent to peer review by respected journals in Europe. His unsure he can do in America due to the politics of the event. He also said he has computer modelled the actual collapse and will show it to the public. NIST must be in fear now that Hulsey can replicate the conditions of the actual collapse. Everything has been tested and verified. One of your images has bank and credit cards? Are you claiming people could have not dropped them while running away from the scene? The cards belong to Judith Larocque she was a passenger on AA11 the same Flt Satam was on. It was found on top of the Bankers Trust building along with seat cushions and life vest from AA11. So, no she didn't drop it running away. This photo shows a seat cushion from AA11 on Albany street. The street south of the Bankers Trust building. Thats the street the passport was found on. Photo showing life vest and seat cushions from AA11 found on top of the Bankers Trust building. All of these items did exactly what you describe here. So are you claiming the passport went from one end of the building to the other exited out took a flight in the air for god knows how many feet and landed on a street near the Banker Trust building? waypastvne Smithsonian said this stuff was found in the debris. Nothing about finding it near banker trusts building. 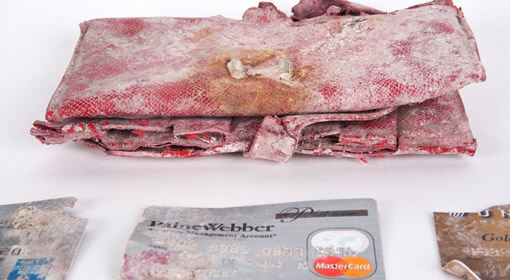 You trying to convince yourself items got all the way over to banker trust building when flight 11 hit. What's more likely items were found in the dust after the buildings fell down.